We've all considered what the world will be like when our grandchildren are growing up. However, you may not have realised that wildlife on Earth could be vastly different in a matter of decades. Scientists predict that in 50 years time if we don’t spend more time thinking and acting differently in regards to wildlife conservation, species we know and love will be driven to extinction. There's a chance you'll outlive orangutans and rhinos, and the only way you’ll be able to see the majestic polar bear in the future could possibly be on the pages of history books. However, there is hope, and losing these magnificent animals isn’t out of your control. 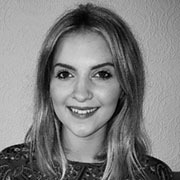 We created this list to help you discover the awesome organisations and conservation projects that are helping our wonderful planet, and the best apps, blogs and resources to visit if you want to find out more about the importance of wildlife conservation - alongside studying Biology or Environmental Science. In addition, for all you adventurers who are wanting to volunteer abroad to help animals, we've found awesome organisations on a mission to help the general public contribute to some awe-inspiring conservation projects. Check out our handy quick links below if you know what you're looking for already! For 50 years, the World Wildlife Fund's mission has been to create a future where people live in harmony with nature. One of their primary aims is to save wildlife from common threats like poaching and habitat loss. WWF Together brings you closer than you've ever been to 16 endangered species and is now available for iPhone. Download the free app today and enjoy brand new interactive experiences. Read and follow interactive stories of endangered animals, including giant pandas, monarch butterflies, and polar bears so you can see the importance of wildlife conservation. You'll race a jaguar, try and outjump a snow leopard and use your iPhone to explore 360° images of 10 species habitats. Plus, now you can pose with each animal's origami to create your own unique shareable photo. And as always, the award-winning app is available for iPad, Android and Kindle Fire Tablets. As the only organization in the world devoted exclusively to the protection of the world’s 40 wild cat species, Panthera is a leader in wildlife conservation. The website features extensive information pertaining to seven of the world’s most imperiled wild cats, on which Panthera's conservation programs are focused– tigers, lions, jaguars, snow leopards, cheetahs, pumas, and leopards. You can find range maps, conservation strategies, population statuses, and detailed fact sheets for each cat on Panthera’s site, as well as recent publications from Panthera-affiliated scientists via their Science Center. 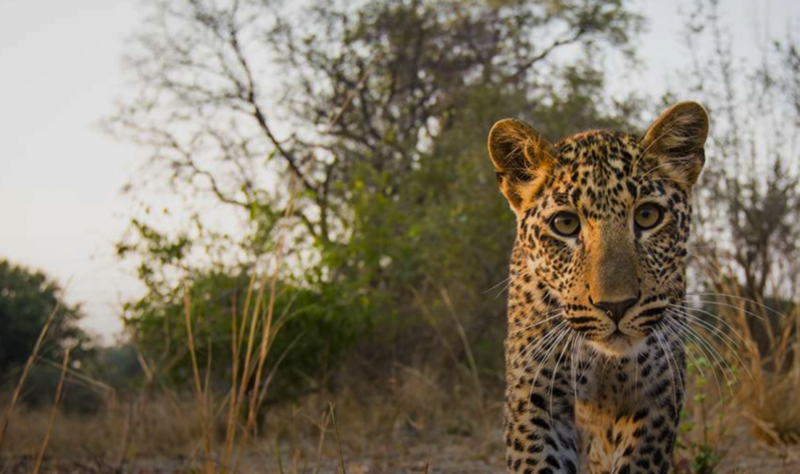 Panthera's Vimeo and YouTube pages offer engaging content regarding the important work Panthera is doing to protect wild cats, showcasing initiatives such as their Furs for Life project. 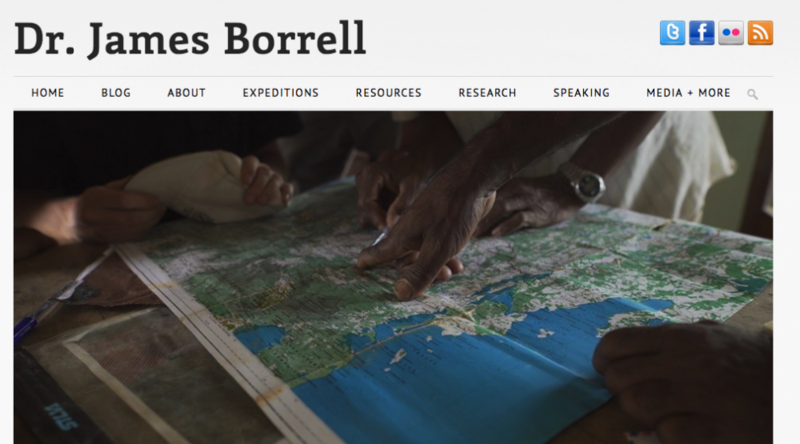 In addition, their blog, Field Notes, provides the public with a taste of what life in the field is like for their conservationists, with posts ranging from scientific revelations to conservation successes to day-in-the-life reports. This intuitive app draws on the RSPB’s expertise so users can learn about and help UK wildlife. RSPB want to engage users no matter where they live; people in cities with only a small balcony will still find ways to give nature a home in their outdoor space. Beyond this, they are helping users learn about UK wildlife by creating quizzes: from understanding more about reptiles and amphibians to learning the quirky local names for some of our best-loved birds. The team has also developed a selection of wildlife ‘fact-files’ with key ID features and hi-res images. The ‘garden’ feature rewards actions taken in the app, and regular updates mean there’s always new seasonal content featuring in-app each month. 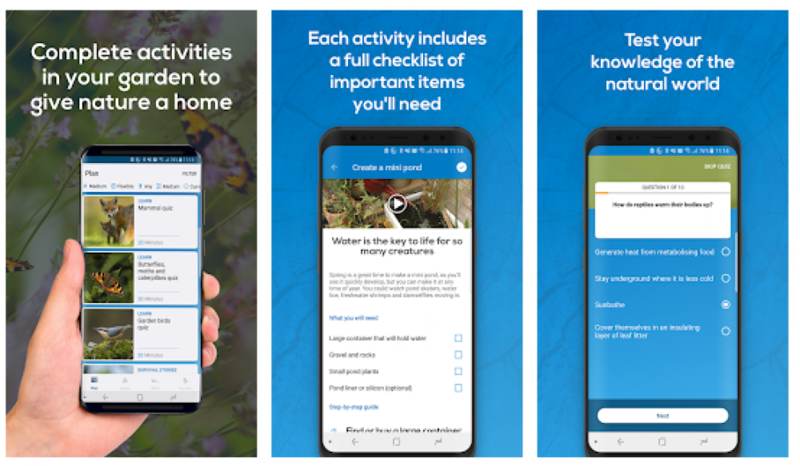 All this is aimed to show how diverse and amazing wildlife is in the UK, and empower users with the knowledge to help wildlife where they live. 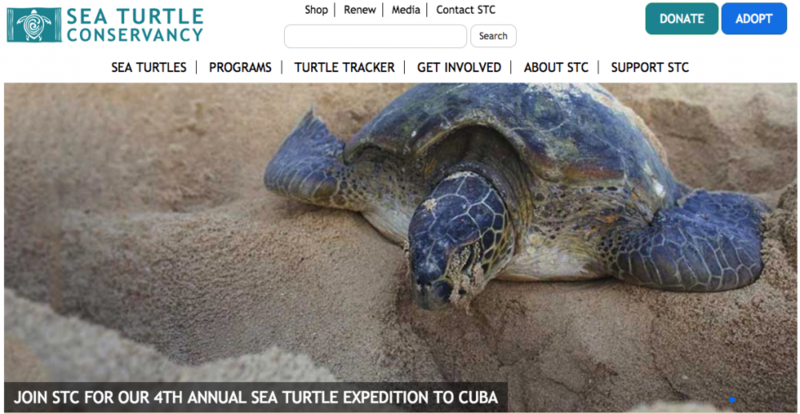 The Sea Turtle Conservancy is the world’s oldest sea turtle research and conservation group. An international nonprofit organisation, Sea Turtle Conservancy was founded in 1959 by world-renowned sea turtle expert Dr. Archie Carr to save sea turtles from imminent extinction through rigorous science-based conservation. Headquartered in Florida, the organisation carries out worldwide programs to conserve and recover sea turtle populations through research, education, advocacy and protection of the natural habitats upon which depend upon. Over the course of nearly 60 years, Sea Turtle Conservancy’s research programs have yielded much of what is now known about sea turtles and the threats they face, and the organisation is applying this knowledge to carry out the world’s most successful sea turtle protection and recovery programs. The Project Aware app unites avid divers with the charity Project Aware; the app offers divers the opportunity to contribute to conservation, their actions have a tangible impact on local marine life. 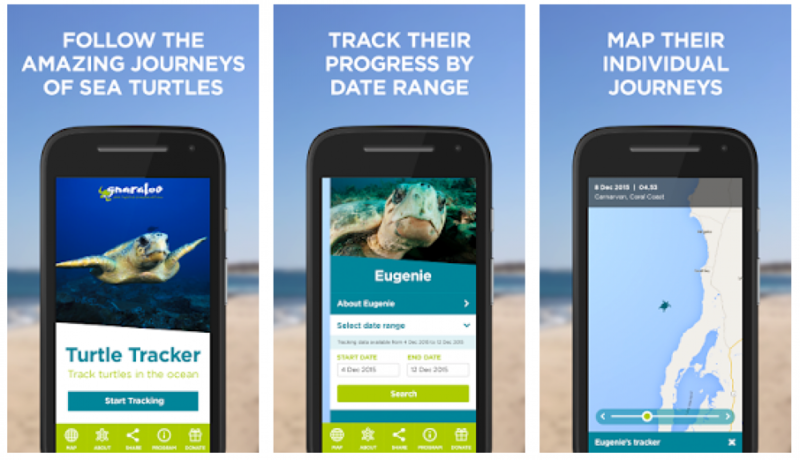 The Dive Against Debris app allows users to report on the types and quantities of marine debris, and although heartbreaking report entangled or dead wildlife. Project Aware use this citizen inspired dataset to develop an accurate perspective on the state of ocean marine life. By doing so they are able to help safeguard our oceans and are able to develop solutions that prevent that waste from getting being dumped there. An innovative app, with the potential for user to contribute to conservation. Do you remember the last time you saw a butterfly? No? There's a reason for that. With a number of butterfly species in decline, Butterfly Conservation aims to create a world where butterflies and moths thrive for generations to come to enjoy. 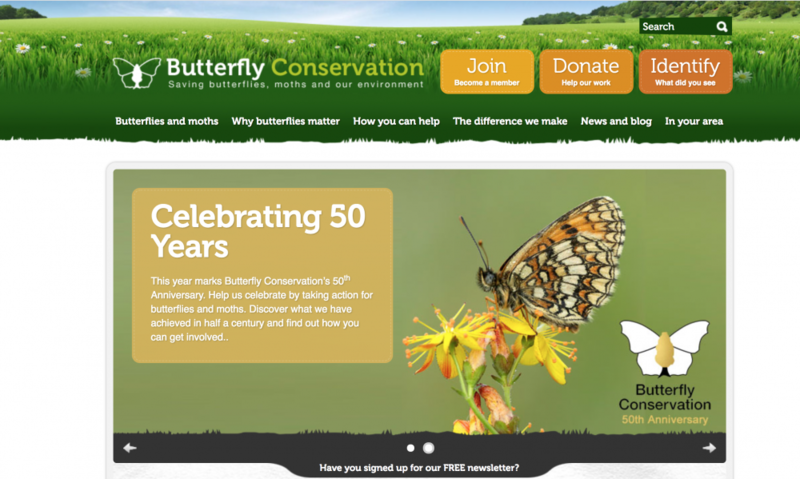 With 32 volunteer-run branches in Britain and 36 nature reserves, the team of scientists are attempting to tackle the widespread decline, but unprecedented rates of decline are making that task harder, Butterfly Conservation need your support to rapidly increase their capacity and influence. 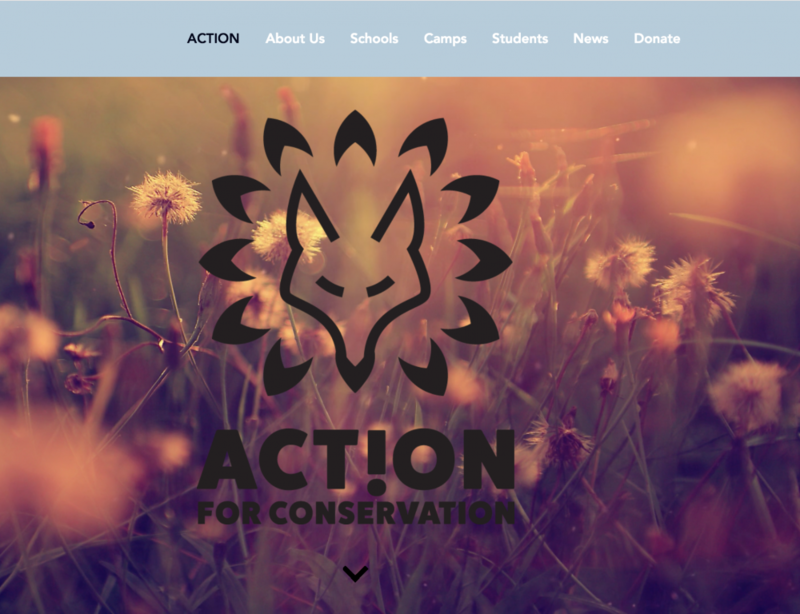 Action for Conservation is a UK environmental charity that empowers young people from all backgrounds to become passionate defenders of the natural world, creating a movement of young conservationists. 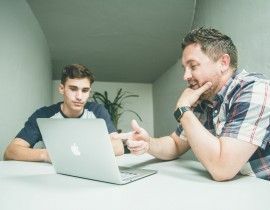 The organisation engages 12-18-year-olds through their ‘WildED’ secondary school workshops, residential conservation camps and youth ambassador programme. Action for Conservation runs unique and impactful programmes that inspire young people to take action for the planet. Their programmes are led by real conservationists from the field, from all over the world, who support students and show them what a real conservationist can look like. For many young people, this is their first time engaging meaningfully with environmental project work, with the complete freedom to design campaigns around the issues they that are passionate about. In addition to having clear educational benefits, their programmes also motivate young people to stay involved in environmentalism in the long term. After participating Action for Conservation's programmes, 96% of participants report that they have a better understanding of what conservation is and why it is important and 77% report that they are more interested in conservation either as a career or as part of their everyday lives. Our seas are under immense pressure and the Good Fish Guide app has been designed to give seafood buyers the power to make informed seafood choices. Consumer and business buying decisions can have a tremendous collective influence on the way seafood is caught or farmed and can really encourage improvements in environmental sustainability, but getting useful information to them has always been a challenge. The sustainability of seafood can be complicated and often depends on how and where seafood has been caught or farmed, but the app makes it easy for users to quickly see with a few clicks and swipes, how sustainable different fish are using a familiar traffic light system (green are best choice, red are avoid!). It also provides interesting and useful information about the different species including the best size and season to buy them, and explains what the key environmental issues are with the various fishing or fish farming methods. There are even recipes from celebrity chefs which show how tasty and easy it is to cook the most sustainable seafood, and a map to find the most sustainable seafood restaurants nearby. Through providing this information in an easy to use and engaging format, users can come away with a much better understanding of the seafood they see on the shelf or on the menu, so they can ask the right questions and make the most responsible seafood choices - as every purchase matters. A pretty elegant and simple solution to one of the biggest issues facing conservation charities and organisations.... financial backing. The Ecosia browser is a search engine that plants trees with it ad revenue! 80% of its profits are used to finance tree-planting programs across the globe, with just 45 searches on the engine equating to the planting of one tree. Planting trees from the comfort of your sofa is just one way you can get involved with conservation. Ecosia really is the best of both worlds, environmental preservation and a justifiable excuse for scrolling through the world wide web more often than necessary! I’m sure the story of Jane Goodall is impressed into the minds of any budding conservationist or wildlife enthusiast, but the institute is just as impressive as the doctor herself. The institute is involved in a number of great projects including; protecting chimps and other great apes against diseases, illegal hunting, poaching and human-wildlife conflict; production of cutting-edge scientific research and creating and implementing scholarships for young women in rural communities.In Dr Jane Goodall’s own words ‘the future of the planet and humanity is in our hands,’ so go and check out their website to see how you can contribute today. The WCN has an incredibly human focus, the WCN supports entrepreneurial conservationists who are seeking to find an equilibrium between wildlife and human coexistence. We are bombarded with stories linking human action with destruction and habitat decimation, so it's incredibly uplifting to hear about the positive impact people can and are having. Birds can sometimes be overlooked in conservation, with so many charities and organisations focusing on restoration of animal populations of more widely known keystone species, such as elephants. Our feathered friends can sometimes fail to get their beak in on the action. The International Crane Foundation has committed itself to restore and protect all 15 species of cranes across the world. Their aim is to create a future where people are in harmony with their environment and the wildlife in it. A captivating organisation with a clear message for conservationists and wildlife enthusiasts alike. Fighting for biodiversity, GWC work not only to save endangered species but to ensure that they prosper in thriving ecosystems. 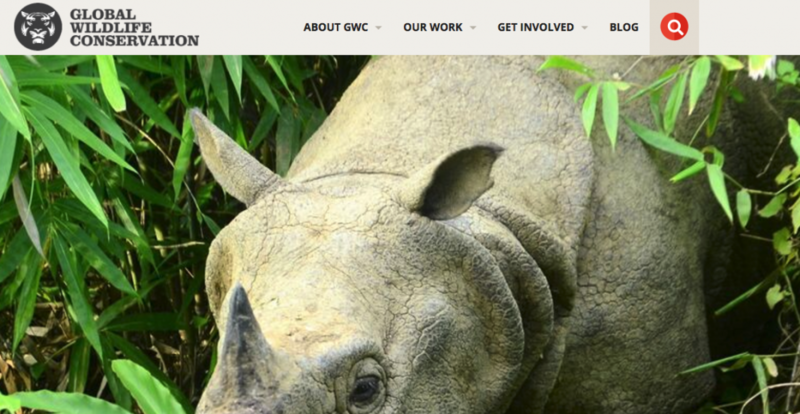 A collaborative endeavour, GWC want to bring together scientists, conservationists, policymakers and industry leaders. As single entities, the task is too great, but as a collective, real changes can be made! An Aussie based wildlife and education organisation that is seeking to engage with and inspire young people to participate in charitable fundraisers and initiatives. 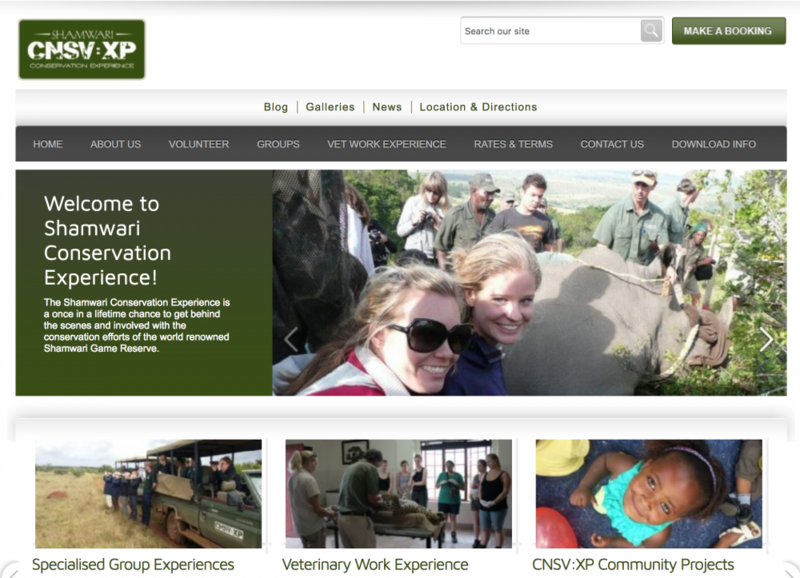 They have put together an educational platform alongside a number of resources to help young people explore the efforts of conservationists around the world. Their app "World of the Wild" also gamifies saving animals - each user action represents a real-life scenario that their partner charities are carrying out, which gives users a real insight into the difficulties and uncertainties that define conservation. Education and awareness have always been key to conservation, and My Green World combines both. The WCS is another exceptional wildlife and conservation organisation. These guys aim to conserve the world’s largest, and wildest places, across 16 priority regions, home to more than 50% of the planet's biodiversity. It is easy to get fixated on looking at a particular species and forget about the importance of biodiversity for conservation. The organisation utilises science to discover the natural world and their research is vital for informing and inspiring decision makers, communities and their supporters to help protect the wildlife and contribute to conservation. Discover the wondrous journeys of endangered loggerhead turtles gliding across the Indian Ocean. Map their trips, view their progress by date to see the distance they’ve travelled and discover how the Gnarloo Wilderness Foundation is protecting these wonderful animals! A charity with no hidden agenda, they specialise in saving endangered species across the globe; from the Barberry Carpet Moth in the UK to stopping endangered species from becoming bushmeat in areas like the Congo. From the big to the relatively tiny, their job is unfortunately becoming increasingly difficult, it seems that the trend of human induced species extinction is on the up, with habitat destruction following a similar trend. On their site they have practical tips for you and me to contribute to conservation; so next time you are enjoy the sun, sea and maybe a sangria, consider the damage to coral reefs caused by your suncream, and perhaps dig out the old baggy top your mum used to make you wear aged 9 in the pool. Worth a visit to their site! 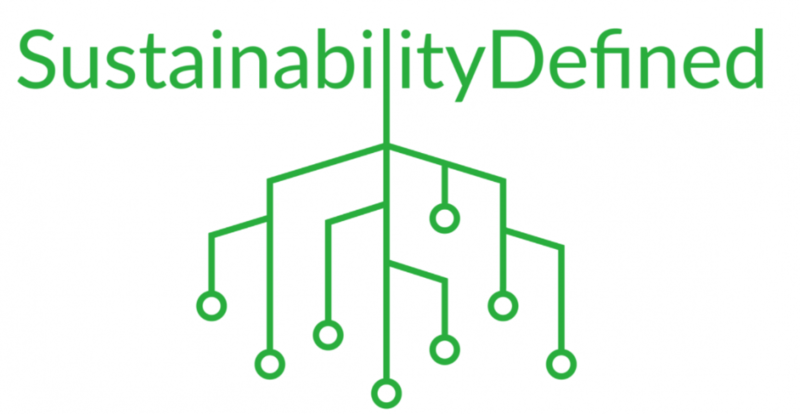 Aiming to simplify the ambiguous nature of the term “sustainability”, the creative team start from scratch and orient the episodes towards listeners without any formal knowledge of sustainability. 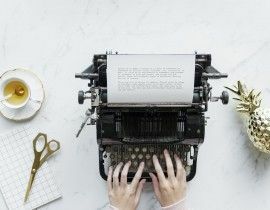 To do this, they methodically break down our episode topics in an intuitive fashion, produce heavily cited research, and conduct engaging interviews with expert guests, making sure no acronym or piece of jargon is undefined. We believe this approach makes sustainability not only accessible for those with limited familiarity with the subject, but also engaging and informative to anyone looking to deepen their sustainability knowledge and have fun along the way." The Mongabay Newscast the premier source for the latest in environmental science and conservation news -- what they call the "news and inspiration from nature's frontline." But it's more than that, too. The team dive deeper into the environmental news of the day by speaking with the scientists, researchers, conservationists, and activists who make the news. Jane Goodall, E.O. Wilson, Katherine Hayhoe, Naomi Oreskes, and David Suzuki have featured on the show to discuss their work. Musicians like Paul Simon, Bruce Cockburn, and James Valentine of Maroon 5 have even made appearances to explain why they are working to raise awareness of environmental issues. 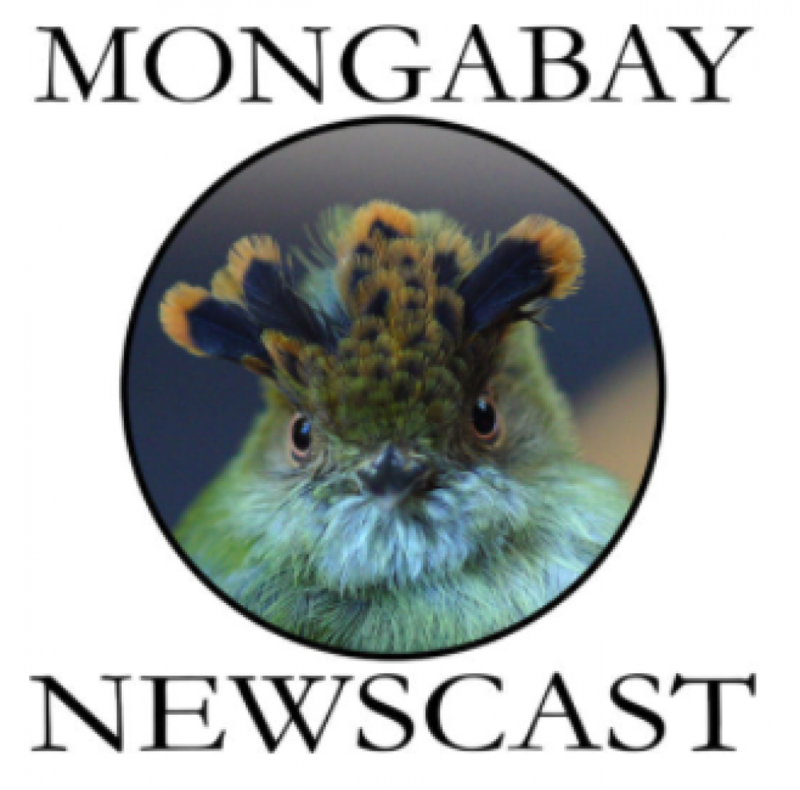 Mogabay Newscast has explored the use of new conservation technologies like remote sensing and camera traps, new resources like databases of scientific evidence and books on animal behaviour, and other trends that are shaping how conservation is accomplished today. The mission of the Eyes on Conservation podcast is to show us how conservation issues are interconnected with our daily lives - conservation is not a niche topic. To achieve this goal, they interview a diverse array of people working in very different fields - all of whom are deeply involved in conservation. The educational benefit of this approach is significant because it forces listeners to think about these issues from an interdisciplinary perspective. This enables us to draw connections between the specific conservation issue being discussed in any particular episode, our daily lives, and the big picture environmental crisis that we all face. 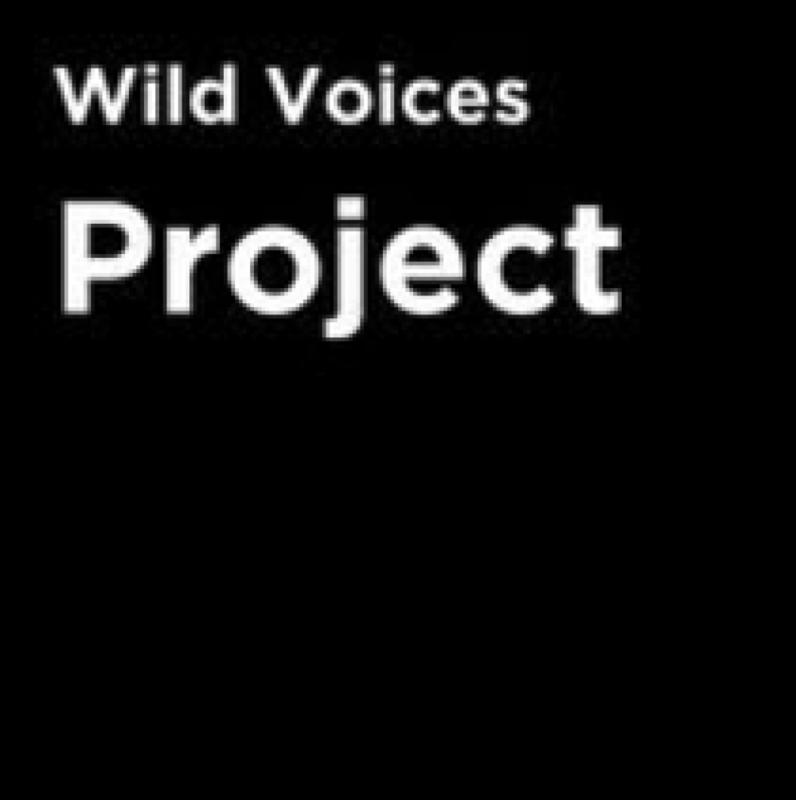 The Wild Voices Project podcast is part of a new wave of podcasts in the UK focusing on nature, wildlife, and the environment. The podcast showcases the stories of the people saving nature - stories that are often full of grit, joy, beauty, and inspiration. In highlighting these stories, they cover some of the most pressing environmental topics facing the UK and the world today, and the ways that people are facing these problems. Whether it's overfishing, climate change or nature and mental health the Wild Voices podcast can help you learn more about the issue or even inspire you to take action. 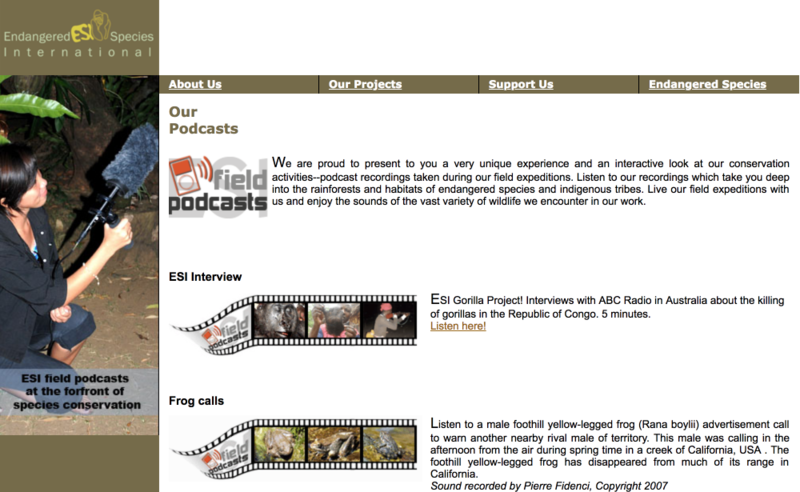 This podcast is a little snippet of light for the conservation narrative! Public domain conversations about conservation are typically gloomy, it can be overwhelming and disillusioning those of us that care but don’t know exactly how to contribute. 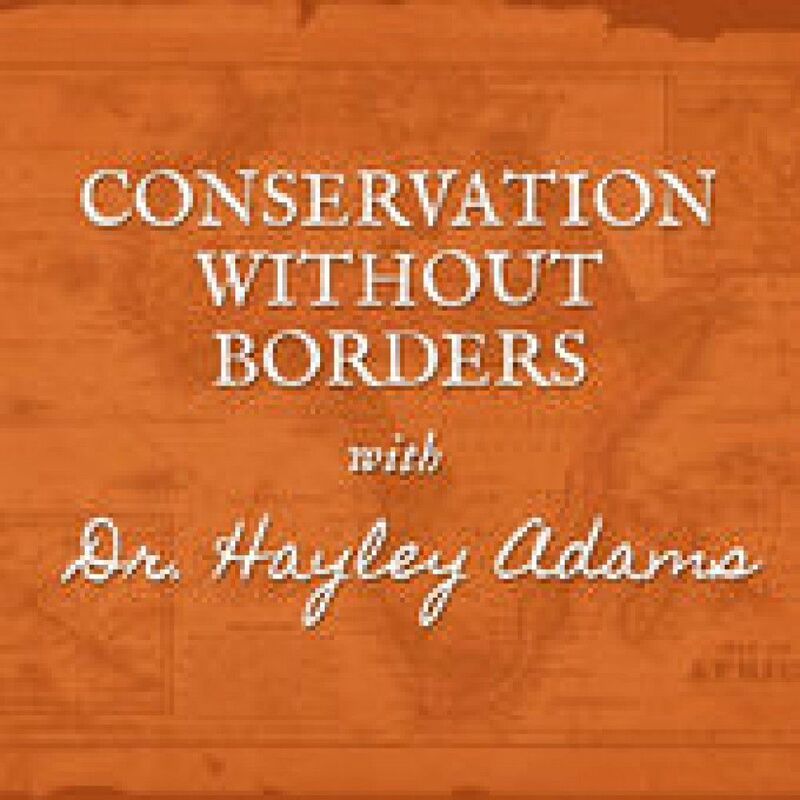 With guest features, Dr Hayley Adams chats with other conservationists about their vital work, the challenges that they and conservation are facing all wrapped up with positive stories. It will make conservation seem less like a losing battle, and more like something that we actually have the power to change. Perception changing stuff! This insightful podcast combines the wonders of wildlife and urbanisation. As our cities continue to spread across vast areas of land, and animal habitats are either destroyed or radically altered, it's important to consider the relationship between our cities and nature. The podcasts feature experts and amateurs alike, talking about a range of subjects in our urban jungles. 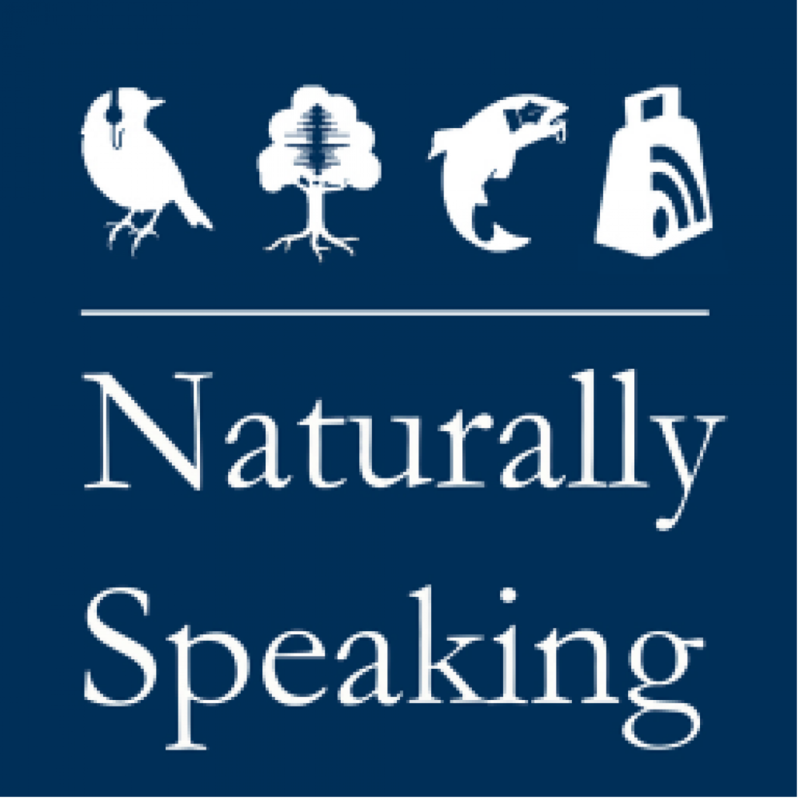 For the active scientist or the casual intellectual, these podcasts are brought to you by the Institute of Biodiversity, Animal Health, and Comparative Medicine. The Wildlife Trusts rely on thousands of volunteers – we’re so grateful to have around 43,000 wonderful people – who work in the sun, rain, snow and wind to help care for the wild places near them. From hedge laying to surveying for otters, wherever you are in the UK there are volunteer opportunities to learn new skills, gain valuable experience of conservation work and help make the world a little wilder. The Oyster Worldwide team are extensive travellers and can tell you first-hand about the projects to help you become thoroughly prepared. All of their wildlife and conservation projects are hand-picked and chosen for their ethical, environmental and community-driven aims. The team is proud to be partnered with over 70 projects in 22 destinations with programmes available for between 1 and 12 weeks. Great for summer breaks, as part of a worthwhile gap year, for families looking for a holiday with a difference or those hoping to gain some internship experience with projects such as our South African veterinary, Thailand diving, and marine or our Borneo wildlife conservation. There’s something for everyone! Real Gap has been offering Wildlife volunteering placements since 2004. During that time several thousand volunteers have done great work to help a wide variety of animals in over 20 different countries. In recent years concerns have been raised about the ethical aspects of wildlife volunteering, especially with big cats in South Africa. Real Gap has complied with the recommendations of organisations like CACH (against using lion breeding to sell the animals to hunters) and has ensured that all our projects operate in the sole interests of the animals. The team from Real Gap regularly visit the projects and gather feedback from all returning volunteers. Their office team in the UK is friendly and very knowledgeable and make the booking and pre-departure process easy so that volunteers can concentrate on getting ready for their programme secure in the knowledge that their trip has been well planned. IVHQ’s affordable Animal Care and Wildlife Conservation volunteer projects offer international volunteers the opportunity to provide vital support to fragile ecosystems and species abroad, through opportunities such Turtle Conservation in Bali, Wild Elephant Conservation in Sri Lanka, Orangutan Conservation in Malaysia and Wildlife Conservation in Victoria Falls. Each day got better and better, I never stopped amazing myself with buffalo's, giraffes, impalas, zebras, elephants, birds and lions. And found out that I am stronger than I thought, and braver than I could have ever imagined." Get to the forefront of wildlife conservation and volunteer with Global Vision International, a volunteering organisation that offers everyday people the opportunity to volunteer across the globe, working on projects that give back to wildlife you love. Projects in the past have included working alongside remarkable national reserves like Kruger National Park in South Africa on their bees and elephants project, a key area of research in the preservation of the African Elephant. It’s a one in a lifetime experience, to contribute in a very tangible way to conservation and to the surrounding communities. Truly perspective altering! Responsible Travel does exactly what it says on the tin! It allows people to go and volunteer on some incredible projects responsibly, from volunteering to help conserve endangered wildlife in South Africa, to volunteering with bears in Romania. The eco-tourism industry has received some bad press in recent years, and while the debate rages on, responsive companies have ensured that while tourists are giving with one hand they aren’t taking away from the host country or native wildlife with the other. Responsible Travel ensures that local communities are treated with respect and fairness, operating schemes whereby when a volunteer books their excursion they will pay for a day trip to a local game park, mountain or museum for a disadvantaged child. The company is making good headway into stopping the exploitation of nature that has lead to the conservation crisis in the first place. Shamwari translates to “my friend,” which seems apt considering the awesome support you’ll be able to provide to the conservation team at the South African game reserve. Shamwari is one of the main big 5 game reserves in the south of the country, with a plethora of magnificent animals, spanning over 24,000 hectares. You’ll have the opportunity to work with the team and assist with their invaluable conservation work - whilst learning skills that’ll help you throughout your entire career. The plight of primates and great apes has long been one that has dominated conservation discussions; despite this these remarkable animals are still in a precarious position, with their habitats still under threat, while policymakers and global leaders deliberate on the best course of action. The Limbe Wildlife Centre is a sanctuary for these primates, and they give people the chance to volunteer and assist experienced caregivers with the daily caregiving activities. Whether that be food prep, preparing enrichment or observations, volunteers will find themselves in the hub of primate conservation. To monkey around and contribute to primate conservation check out their website. Worldwide Experience are specialists in conservation volunteering projects, where volunteers and student groups from across the globe are invited to make a real difference. Their portfolio stretches out to South Africa, Namibia, Zimbabwe, Kenya, Sri Lanka, Croatia, Madagascar and soon Mozambique. Projects are vetted and carefully selected, so volunteers can be assured of an ethical, authentic, safe and supervised experience which not only benefits the local wildlife and communities but is positively life-changing for volunteers too. The placements give students and volunteers the opportunity to work behind the scenes on game reserves, animal rehabilitation centres, community projects and ocean research programmes. All the projects are developed to address actual needs and requirements in each area, which means that whether the volunteers are helping to dart a lion, track a cheetah, ID an elephant, bottle feed orphaned rhinos or present to a class of children, they are making a real difference! 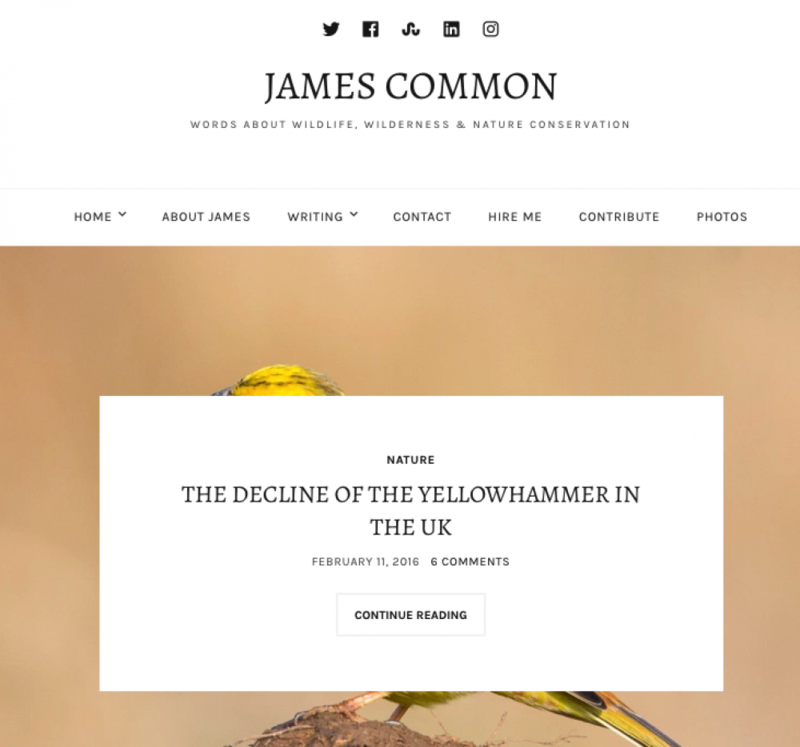 James Common's blog is so wonderful largely due to the sheer diversity of conservation content published. There's certainly something for everyone, whether that be wildlife facts, conservation news or opinion on topical debates. James' writing is delightfully moreish - he manages to display facts and figures in a fun and engaging manner. You can trust his writing, as he is impartial in his views, and only focuses on the facts. Uncornered Market succeeds in encouraging readers and travelers to engage respectfully whilst widening the horizons of their understanding of the world and their place in it. Dan and Audrey make it fun and engaging and demonstrate how conservation and a responsible mindset not only make for a better world but also enhances experiences in life and travel. By way of Dan and Audrey and their lifestyle, Uncornered Market puts a personal face on the idea that the world is not necessarily ours to consume, but ours to appreciate and take care of so that others might enjoy it just as we do today. The message and tone are positive and consistent. In the world of independent media and travel media, it has become synonymous with responsible and sustainable travel. As people who travel the world full-time, exploring cultural experiences in off-the-beaten-path destinations, the wonderful guys at Nomadasaurus have documented their passion through their website and social media channels, offering first-hand information for free to the public. This husband and wife duo are really living their best life! Their blog is an outpouring of their passion, love of wildlife, and travelling expertise. As tourists themselves, they are keen to promote responsible travel. They have a number of resources on their blog to help you plan your wildlife adventures. And whilst Hal and Cristina have been privy some of nature’s most awe-inspiring and ferocious wildlife, Hal used to be frightened of kittens and chipmunks! James is a scientist, writer and speaker with experience in a number of conservation projects, fieldwork and expeditions. His highlights include working with endangered big cats in the Dhofar mountains, biodiversity surveys in the Amazon jungle, and forest genetics in the Arctic. His passion for conservation is infectious! The blog is incredibly insightful for budding conservationists and citizen scientists, it’s easily digestible and hits the key conservation controversies on the head. Two interesting facts about rhinos to start your day; did you know that a group of rhinos is called a crash, and did you know that one rhino can produce 50 pounds of dung per day, which is approximately the same as 40 kittens? The International Rhino Foundation is dedicated to the survival of the world’s rhino species through conservation and research. They provide the technical scientific, educational administrative, and financial assistance needed to facilitate their conservation. 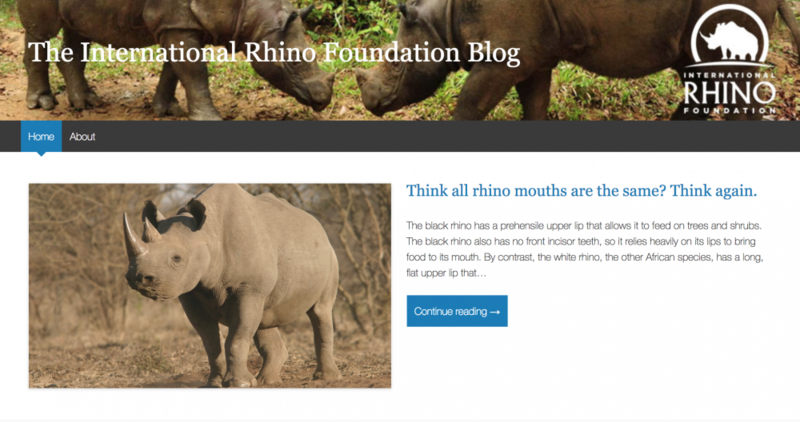 The plight of rhinos has been well documented in mainstream media, and this comes with the deeply saddening death of the last Northern White Rhino, Sudan; its important for foundations like this one to continue to invest in conservation, their blog features a number of articles about how you can help and get involved, so head on over to their site. Top blog for those looking to be more environmentally aware on their travels, it discusses the importance of eco-tourism and responsible travel. It’s becoming increasingly important to travellers to consider the footprint they create when they travel, and any site that can offer advice is always great. The blog takes care to cater to all types of travel, meaning Linda isn’t just about the backpacking vibes but looks at luxury getaways too. Students studying conservation, ecology, and biology today are faced with seemingly insurmountable challenges. It's easy to feel a sense of ‘ecological despair’ and give up hope. 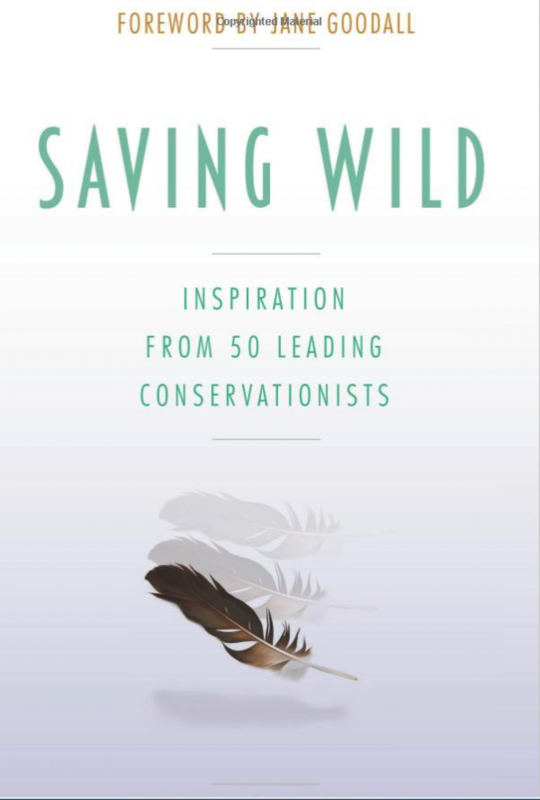 In Saving Wild, 50 of the worlds leading conservationists were asked one question, "How Do you Stay Inspired?” Their answers give readers a much-needed resource full of optimism, practical suggestions, and stories of success and perseverance. 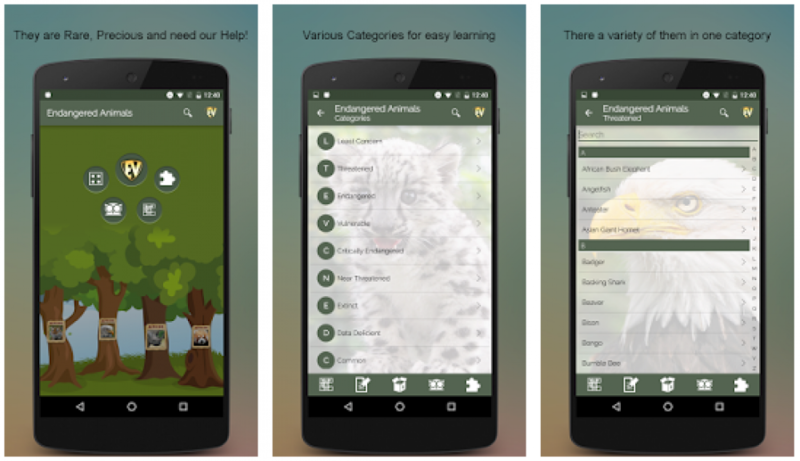 An app specifically dedicated to endangered animals, it allows the user to explore the animals species that are distressingly on the verge of extinction. Around 400 endangered animals feature on there under; least concern, threatened, endangered, vulnerable, critically endangered, extinct, data deficient and common. It's surprising and disheartening to see the amount animals that currently feature on it, however with knowledge comes the power to change things and re-establish a balance. Comparable to a Tamagotchi, Habitat allows the user to ‘adopt’ an endangered animal and try to keep that animal alive and healthy, whilst completing events and undertake real-world actions, doing so will help you progress through the levels, and will earn the users badges of recognition. Whilst lighthearted and easy to play, it does not take away from the real message of wildlife conservation behind it and gives users insight into the issues facing conservationists. Is a must have app for those keen wildlife enthusiasts with a particular interest in South African mammals! 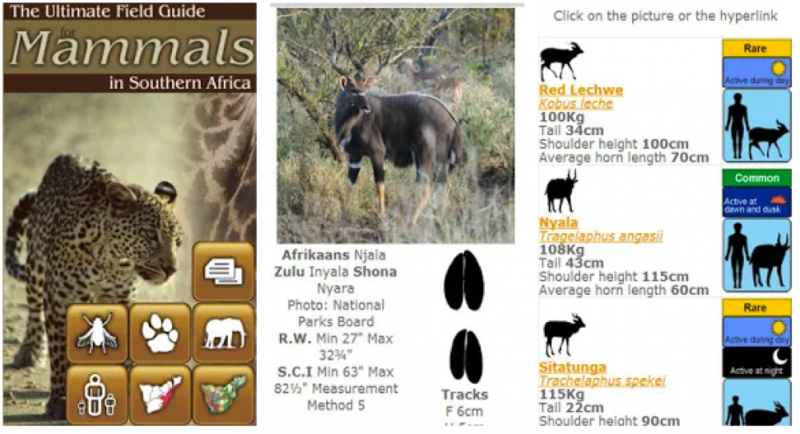 The app features unique identification keys, detailed information on a species by species basis, and a fearsome option to hear the often haunting sounds of the African bushveld.